was a soldier and writer, who was born at Chester on 6 October 1758 in the county of Cheshire in England. 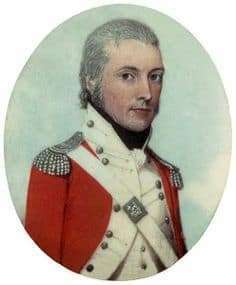 He joined the Royal Marine Corps, Plymouth division, as a Second Lieutenant in 1776, and served in the American War of Independence, during which he was a prisoner-of-war for some months. In December 1786, Tench’s offer to re-enter the Corps for a three-year tour of Botany Bay was accepted, and he sailed aboard Charlotte. Before sailing with the Fleet, he arranged with a London publishing firm to write a book describing his experience of the journey and the first few months of the colony. He was the first European to discover the Nepean River, and was friendly with the native Aboriginals. Tench sailed for home on HMS Gorgon in 1792 with other members of the Corps. 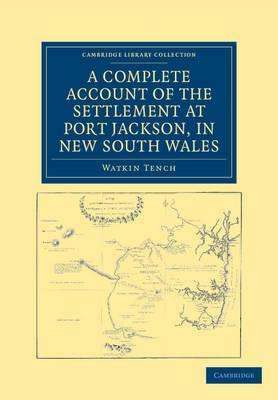 Complete Account of the Settlement at Port Jackson, in New South Wales, including an Accurate Description of the Situation of the Colony, and of its Natural Productions, taken on the Spot (1793). On the anniversary of the King’s birthday all the officers not on duty, both of the garrison and of His Majesty’s ships, dined with the governor. On so joyful an occasion, the first too ever be celebrated (sic) in our new settlement, it were needless to say that loyal conviviality dictated every sentiment and inspired every guest. Among other public toasts drunk was prosperity to Sydney Cove, in Cumberland county, now named so by authority. At daylight in the morning the ships of war had fired twenty one guns each, which was repeated at noon and answered by three volleys from the battalion of marines. Nor were the officers alone partakers of the general relaxation. The four unhappy wretches labouring under the sentence of banishment were freed from their fetters to rejoin their former society; and three days given as holidays to every convict in the colony. Hospitality too, which ever acquires a double relish by being extended, was not forgotten on the 4th of June, when each prisoner, male and female, received an allowance of grog; and every non-commissioned officer and private soldier had the honour of drinking prosperity to his royal master, in a pint of porter served at the flagstaff, in addition to the customary allowance of spirits. Bonfires concluded the evening and I am happy to say that excepting a single instance which shall be taken notice of hereafter, no bad consequence or unpleasant remembrance flowed from an indulgence so amply bestowed. Our passage to Port Jackson (ed. from Botany Bay) took up but a few hours and those were spent far from unpleasantly. The evening was bright and the prospect before us such as might justify sanguine expectation. Having passed between the capes which form its entrance, we found ourselves in a port superior in extent and excellency to all we had seen before. We continued to run up the harbour about four miles in a westerly direction, enjoying the luxuriant prospect of its shores covered with trees to the waters edge, among which many of the Indians were frequently seen, till we arrived at a small snug cove on the southern side, on whose banks the plan of our operations was destined to commence. The landing of a part of the marines and convicts took place the next day, and on the following the remainder was disembarked. Business now sat on every brow and the scene, to an indifferent spectator at leisure to contemplate it, would have been highly picturesque and amusing. In one place a party cutting down the woods; a second setting up a blacksmith’s forge; a third dragging along a load of stones or provisions; here an officer pitching his marquee, with a detachment of troops parading on one side of him, and a cooks fire blazing up on the other. Through the unwearied diligence of those at the head of the different departments, regularity was, however, soon introduced and, as far as the unsettled state of matters would allow, confusion gave place to system. In June 1789 an expedition was undertaken by Governor Phillip to explore the course of the Hawkesbury River. The expedition traveled sixty to seventy miles along the river until the boats were stopped by a fall. Close to the falls was a very beautiful hill, which was then named Richmond Hill. Watkin Tench, Captain of Marines was unable to be part of this expedition. At this period, I was unluckily invested with the command of the outpost at Rose Hill, which prevented me from being in the list of discovers of the Hawkesbury. Stimulated, however by a desire of acquiring a further knowledge of the country, on the 26th instant accompanied by Mr. Arndell, assistant surgeon of the settlement, Mr. Lowes, surgeon’s mate of the Sirius, two marines and a convict, I left the redoubt at daybreak, pointing our march to a hill five miles in a westerly or inland direction, which commands a view of the great chain of mountains called Carmarthen Hills, extending from north to south farther than the eye can reach. We continued to march all day through a country untrodden before by an European foot. Save that a melancholy crow now and then flew croaking overhead, or a kangaroo was seen to bound at a distance, the picture of solitude was complete and undisturbed. At four o’clock in the afternoon we halted near a small pond of water where we took up our residence for the night, lighted a fire, and prepared to cook our supper: that was to broil over a couple of ram rods a few slices of salt pork and a crow which we had shot. At daylight we renewed our peregrination and in an hour after we found ourselves on the banks of a river nearly as broad as the Thames at Putney and apparently of great depth, the current running very slowly in a northerly direction. Having remained out three days, we returned to our quarters at Rose Hill with the pleasing intelligence of our discovery. To this river the governor gave the name of Nepean. Our impatience of news from Europe strongly marked commencement of the year. We had now been two years in the country, and thirty two months from England, in which long period no supplies except what had been procured at the Cape of Good Hope by the Sirius had reached us. From intelligence of our friends and connections we had been entirely cut off, no communication whatever having passed with our native country since 13th May 1787, the day of our departure from Portsmouth. Famine besides was approaching with gigantic strides, and gloom and dejection spread over every countenance. In the early years following his arrival back in Plymouth England, Tench married Anna Maria Sargent, and had his first book published. His distinguished career in the Navy was in shore posts and aboard naval ships. He retired with the rank of Lieutenant-General in July 1827 and pass-away in Devonport England on 7 May 1833 aged 74. 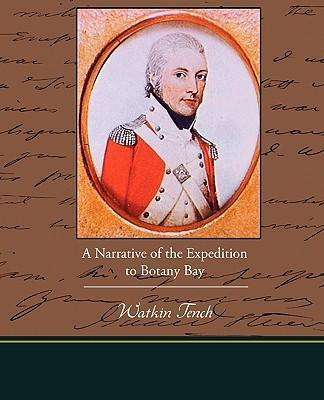 Watkin Tench published three books: A Narrative of the Expedition to Botany Bay: With an Account of New South Wales, its Productions, Inhabitants &c (London, 1789, three editions; also Dublin and New York editions and translations into French, German and Dutch); A Complete Account of the Settlement at Port Jackson, in New South Wales, Including an Accurate Description of the Situation of the Colony; and of its Natural Productions; Taken on the Spot (London, 1793; German and Swedish translations); and Letters Written in France, to a Friend in London, Between the Month of November 1794 and the Month of May 1795 (London, 1796). The Narrative was reprinted in Sydney in 1938, and the Narrative and the Complete Account, with introduction, notes and bibliography, under the title Sydney’s First Four Years in Sydney in 1961 (revised ed., 1964).